Members of Tang Hall Local History Group are interested in hearing from York men who were conscripted to National Service. They are preparing a questionnare, which can be obtained by emailing tanghallhistory@gmail.com or by telephoning Ralph Peacock on 01904 421656. 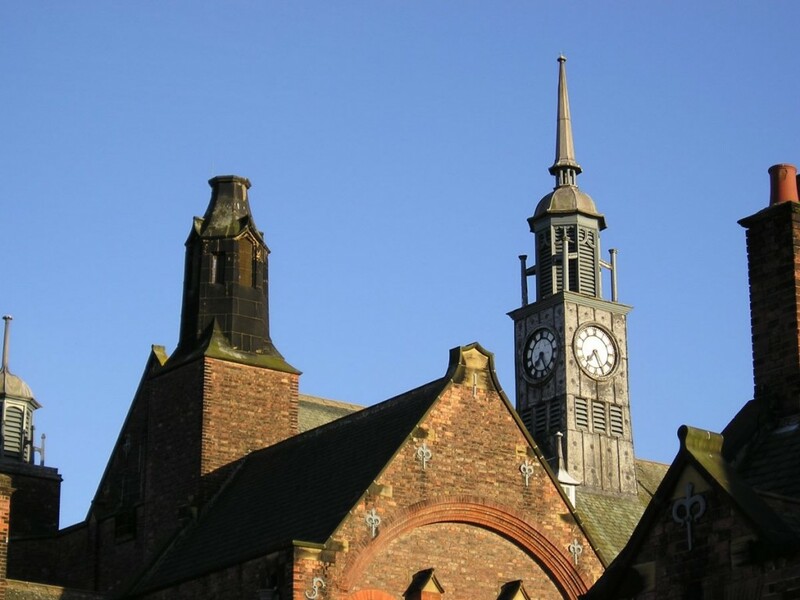 I wondered if I could highlight to you the changing face of Scarcroft School clock tower. Over the last few years the four finials appear to have disappeared. I imagine they were wooden and simply rotted to the point of becoming a danger to anyone walking underneath – not good in a school. The architect was York’s WH Brierley and I reckon he (like me) would be disappointed if they’re never to be replaced. It was listed Grade 2* in 1968 and I’m not sure what that means with regard to reinstating them but I imagine there’s a commitment to keeping the building as original as possible. I hadn’t noticed this, but then I don’t pass this way very often. Perhaps York Civic Trust could help with the necessary restoration? Or do we just accept that details like this will rot and fall away? Join the mailing list to be kept up-to-date with happenings here on yorkstories.co.uk. If you’d like to support the website, more details can be found on this link. By Lisa @YorkStories • 10 June 2016 Details, Noticeboard To link to this page's proper location please use the > permalink.